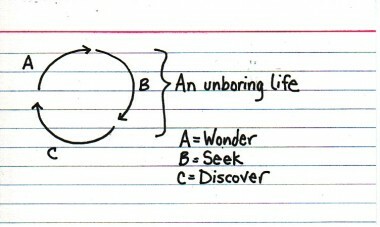 From Unhappiness to Un-boring to Flourish! “The Paradox of Declining Female Happiness”, a thorough research study published by Betsey Stevenson and Justin Wolfers in 2009 reports that the subjective measures of well-being in the female population have steadily declined since the 1970’s. This unhappiness is widespread and according to the study “cannot be attributed easily to one social phenomena”. I wonder, is this an epidemic of “not enough”, not being enough, not doing enough, a totally boring routine, repetitive thoughts or all of the above? The Science of Happiness is on our minds. Action for Happiness leads the well-being movement in Britain. Co-founder Richard Layard, emeritus professor of economics says that “it is a secular movement grounded in science”. Their aim is to make happiness the cultural norm in all communities. Tony Hsieh of Zappos has established a Culture of Happiness as a core tenet of his company and created a global movement. In his book “Delivering Happiness” Tony lays out the framework of happiness: “Perceived Control, Perceived Progress, Connectedness and Vision/Meaning”. There is plenty to be unhappy about today… the wars, the economy, the state of our natural environment, waste, the media portrayal of women… see NBC’s paradigm paralysis in its outdated and boring bunny programming. The onslaught of female stereotypes in media imagery since the 1970’s relentlessly shouting from every screen and magazine programs girls and women for dissatisfaction with ourselves and our lives. Maybe that is why we girls are so unhappy. At the end of the day we know we need a big shift to a fresh, vibrant, un-boring, flourishing and transformative paradigm. We need to experience influence and progress, fulfillment and connection to each other and Earth. We have tools to reshape our lives. Creativity is one of our most powerful transformers. Maybe you have a life vision board or practice affirmations and intentionality. I decided refine my focus and make a vision board and reminders specifically for Creativity – everything I do or plan to do that will help that part of me flourish is represented. Placing attention to my Creativity on equal footing with my Work, my Health and my Relationships opened the door to more spice, flowers, laughter and yes the un-boring days of my flourishing life. Kudos a big thank you to the Geena Davis Institute for their creativity and passion in promoting positive female images in the media! Next Next post: Become the Change?